In fantastic weather, we shot over 300 cards and more than 70 shooters on the lines, with lines full from 10AM right through to 6pm. 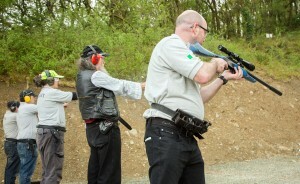 Thanks to Dave, Trevor, Dean, Mick and all those at MTSC for a great days shooting, good craic, and BBQ for the shooters. Please find attached the draft scores for the NASRPC Competition, held at MTSC on 15/5/2016.